On August 21, 2017, there will be an extraordinary astronomical event in the world, a total solar eclipse. After 99 years, the United States will witness a total solar eclipse during which the moon, sun, and Earth will align correctly. 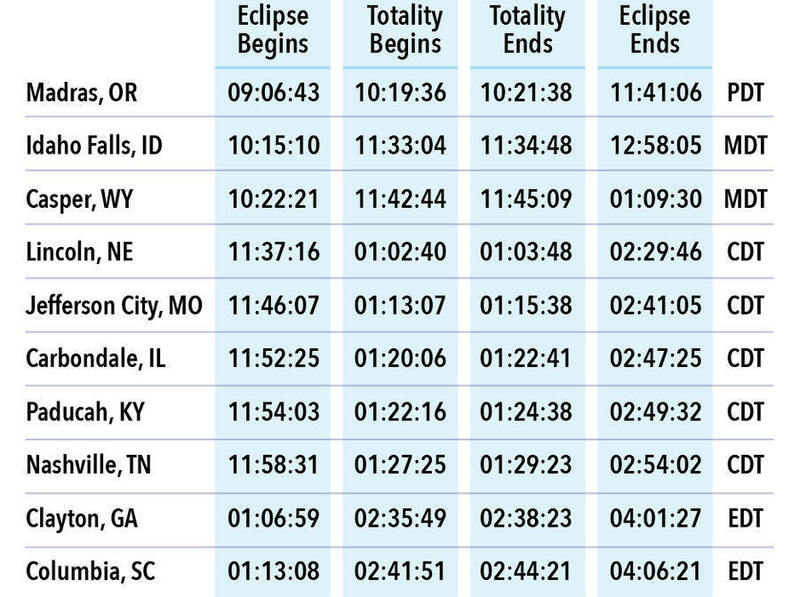 During the event, when the moon completely covers the sun, the day will turn into a night for a few minutes. Solar eclipses are not rare, what is unusual is this one is visible all across North America, and the path of totality goes through so much of the United States. While India will not be able to witness it, the rare phenomenon will be visible in India only in 2034. Although the astronomical event has falsely related to the end of the world, it is no more than a conspiracy theory. To enjoy the eclipse of Sun, we have prepared a brief guide. 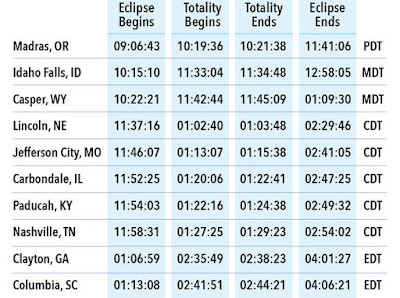 In the USA The total eclipse will enter the west, in the state of Oregon, and will continue through Idaho, Wyoming, Missouri, and Tennessee, until leaving through South Carolina, on the opposite coast. After 26 years, the United States will again be traversed by a great total solar eclipse. According to NASA, the total eclipse can last up to 2 minutes and 40 seconds depending on location in which the observers are in the United States. The advice is not to look at the Sun directly without protection, as it can cause severe burns on our retinas. During the partial eclipse phase, the ultraviolet light continues to appear and can easily cause irreversible damage to the eyes. For this reason, neither should we contemplate the phenomenon through the clouds nor reflected in the water. The use of smoked crystals, veiled films, neutral or polarized density filters, welding crystals or sun protection goggles does not help because they do not protect against ultraviolet radiation. It has recommended to solar eclipse through special eclipse glasses or telescope.